UUCSF received its charter from the Unitarian Universalist Association of Congregations in 1985. 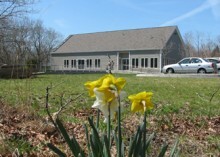 Our existing meetinghouse on the Bridgehampton-Sag Harbor Turnpike was dedicated on May 21, 2006. 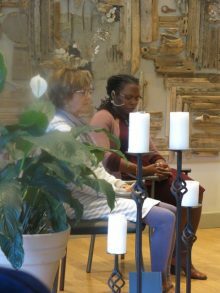 Our minister, The Reverend Kimberly Quinn Johnson, a graduate of Mead Lombard Theological School, creates dynamic Sunday services and shares the pulpit with other religious leaders, lay speakers, and guests from the wider community. 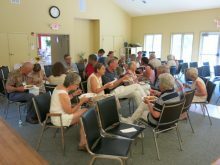 Our Helping Hand Fund supports local non-profit organizations that share our fundamental values. We affirm basic human rights for all, “Green Justice” environmental stewardship, and moral, spiritual, and personal growth.